Squad is a tactical and realistic first-person shooter video game that puts you close to reality by using real satellite data from maps. On which you can share with 49 other players fighting 50 enemy gamers. 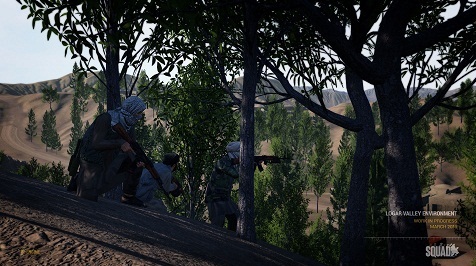 On December 15, 2015 Squad appeared as Early Access version. Up to 100 players are present on the huge maps of Squad. The game relies on attention to detail, planning, tactics and communication. The Early Access version can be played on Windows 7, 8 and 10. You have the choice between different political groups and roles in the game. You will act as a medic or sniper. Check out the official system requirements to play the Squad on your PC.